Whether you need a logo design, website or brochure, we are your source for infinite ideas and solutions. We can refresh your business' image by building on your pre-existing brand or can start from scratch. Either way, your company wins by getting the clean, classy, professional look every business needs. We take our design projects from concept through completion for a fraction of ad agency prices. Our goal? Help the Las Vegas small business succeed. With over 20 years experience, we have the tools, experience and know-how to separate you from your competition. 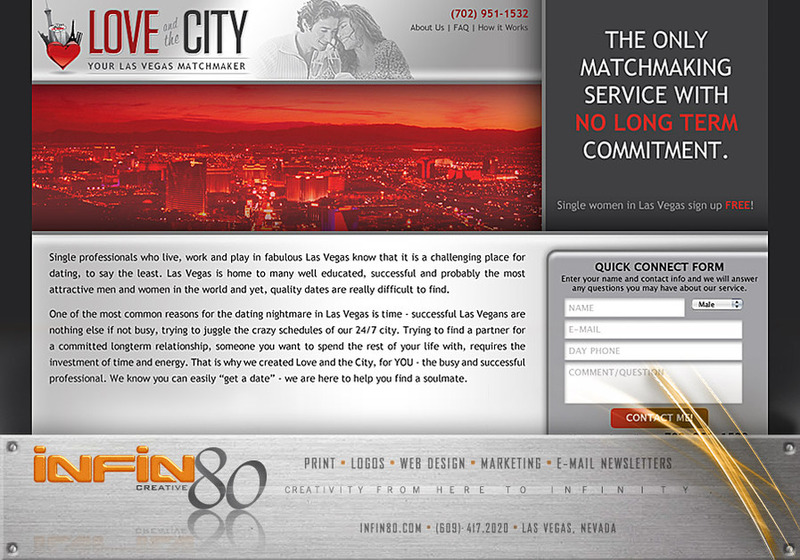 Current site for a Las Vegas Matchmaking service. To be completed in the 1st quarter of 2011.